How should our food be produced? On well managed farms, meat and crops can be reared within natural and healthy ecosystems. Tragically, in the quest to mass-produce cheap meat, factory farms are being created that are both hell-on-earth for the animals living short lives of immense suffering within and that devastate the surrounding environment. In this disturbing short film spy drones expose the USA's biggest pork producer - Smithfield Foods hiding enormous “Open-air cesspools of toxic manure.” Since 2012, the director of Speciesism: The Movie has been secretly using spy drones to investigate and expose the environmental devastation caused by factory farms. 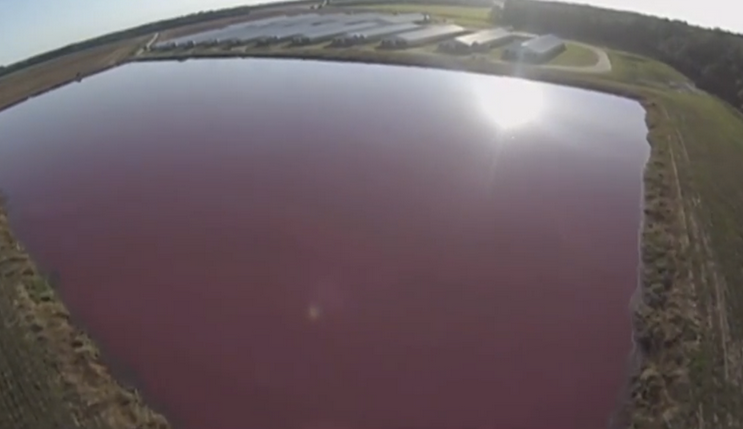 In this video, the drones capture shocking aerial footage of numerous massive facilities that supply pigs for Smithfield Foods. Find out more at FactoryFarmDrones.com These “open-air cesspools of toxic manure”: the disgusting secrets of modern American farming, may be coming to the UK soon. To stop this happening please support the Farms Not Factories campaign.